Blood Moon This Month Sparks Apocalypse Woes: Bible Scripture Cites World End? When the blood moon appears this month it may strike you as looking wounded. The blood moon will be drenched in a deep red hue, almost resembling the color of blood. This event has a significant link to the apocalypse that was deciphered from a bible scripture, according to some religious leaders. While folks might have had their full of promises of the coming apocalypse, today two pastors have cited a scripture that calls for the presence of a blood moon during the apocalypse, according to The Inquisitr on April 2. The blood moon on April 15 will be the first of four that the Earth will experience in the next two years. This extremely uncommon grouping of four blood red moon events is called a tetrad. Coinciding with Passover and the Feast of Tabernacles, these blood moon events are expected in April of 2014 and 2015, along with October of 2014 and 2015. Pastor Mark Blitz and Pastor John Hagee are two religious figures among many folks that believe these moon events are significant to the apocalypse. A scripture has a blood moon occurring during the beginning of the apocalypse, and the four blood moons in the next two years are also significant to the event. John Hagee’s sermon of “Four Blood Moons” talks about the end of days. He cites these blood moons, two of which happen during Passover as being what is found in the bible as signs. “He made the moon to mark the seasons.” Psalm 104:19. John Hagee’s sermon on the four blood moons can be seen in the video above. Scientifically speaking the blood moon will occur during a total eclipse on April 15, at 3:07 a.m. and lasting for about an hour. The Earth will be positioned directly between the moon and the sun. The height of this event is at approximately 3:36 a.m. before it begins waning down. The deep red or orange color is caused by the sun’s rays reflecting off the Earth’s atmosphere. Is this event just a rare occurrence, which will be awe inspiring to witness, or will it signify the end of the world as we know it? 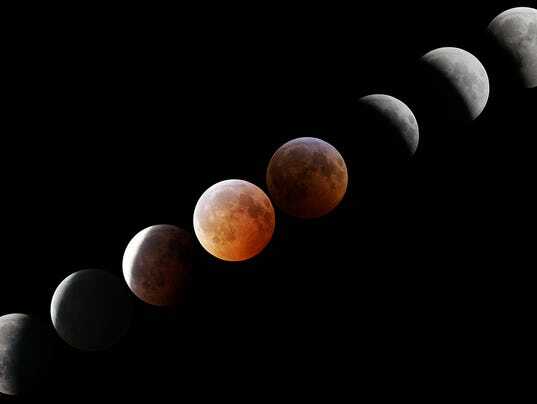 You can decide on which way you will go with the start of the four blood moons, with the first on April 15, 2014.